Since opening in 2010, the Two Twenty has been a fixture on 20th Street, creating space for businesses and residents to connect, collaborate, and help shape the future. As the first and largest coworking space in Saskatoon, the Two Twenty is home to 60+ companies, 140+ members, and 95 solar panels. And it's all anchored by the best coffeeshop in town, Collective Coffee. 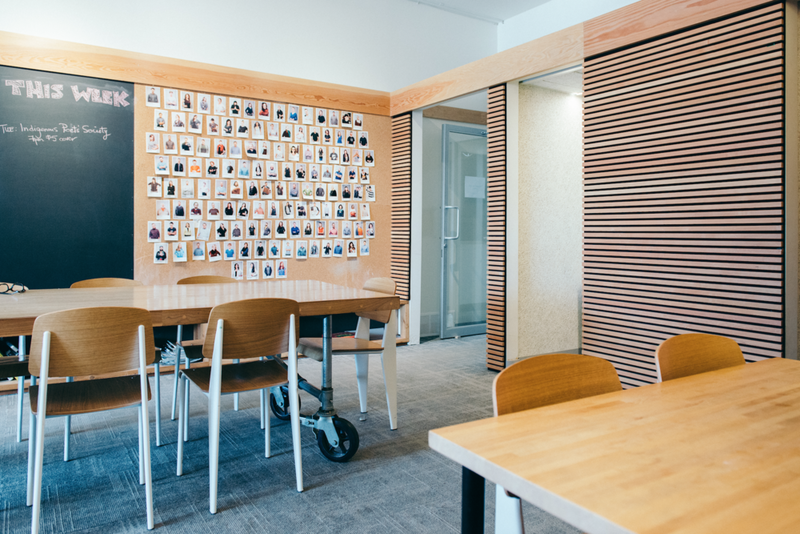 The mix of spaces and amenities here makes room for everyone from freelancers to medium-sized businesses. 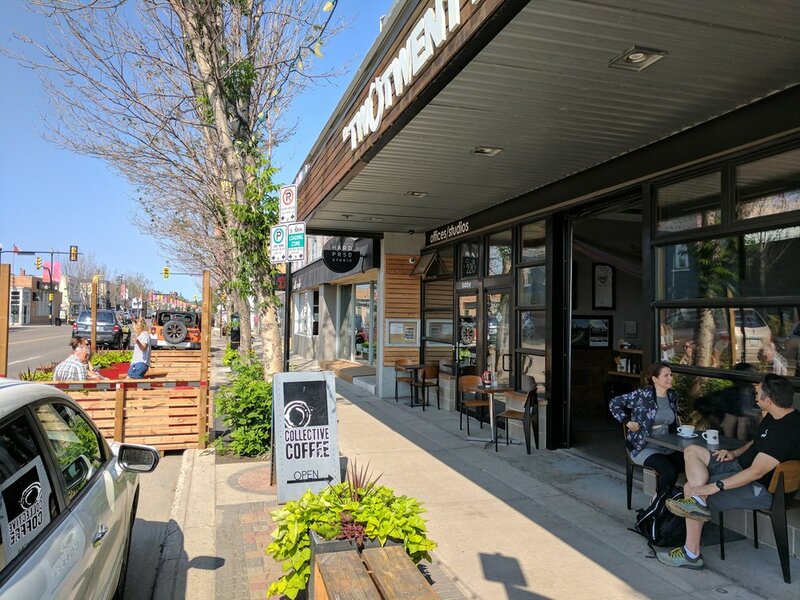 As a launchpad into Riversdale, the Two Twenty has incubated several small businesses who've later gone on to establish more permanent homes in the neighbourhood. We're proud of our alumni! There is a unique experiment in sustainability happening at Element Urban Village. Residents at this river front development have access to a shared electric car—a BMW i3 to be exact—that is charged with solar energy. The location of Element Urban Village in the heart of Riversdale means owners can protect the environment and feel good about ditching the second car. With shops and amenities a short walk away, they won't need it. This timelapse video comparison of a full day before and after our parking patio was installed on 20th Street is a perfect example of a people-focused urban intervention. The patio—or parklet, à la Park(ing) Day—which acts as an extension of the outdoor space at the Two Twenty and Collective Coffee, demonstrates the kind of human-scaled urbanism that excites us as city-builders. The final tally for users of the space? 9 cars, 46 people. Here we have concrete evidence that when it comes to developing pedestrian-scale urban spaces, if you build it, they will come. The parklet has increased usage of this particular 200 square feet of public space by over 400%. And that's just the cold numbers—it says nothing of the enjoyment provided to those 46 people and how much more that enjoyment contributes to positive and welcoming streetlife than the temporary storage of 9 cars. Does this project speak to a possible latent demand for more enjoyable, human-scaled amenities in our city, rather than more car storage? Does it demonstrate the immense per-square-foot value that exists on our public city streets? Does it raise questions about the best way to use this space? Do initiatives like these ultimately contribute to a more positive quality of life in city neighbourhoods? We think the answer to these questions is a resounding yes. Thanks to BLDG Studio, Schwinghammer Construction, and all our friends for their help on this project! Park(ing) Day is a worldwide phenomenon that seeks to reimagine streets as places and create a whimsical, fun-first event in a strangely familiar place. It is an event that boldly asserts the truly public nature of city streets (specifically on-street parking stalls, which by definition are pieces of public land available for rent), by transforming parking into parks. 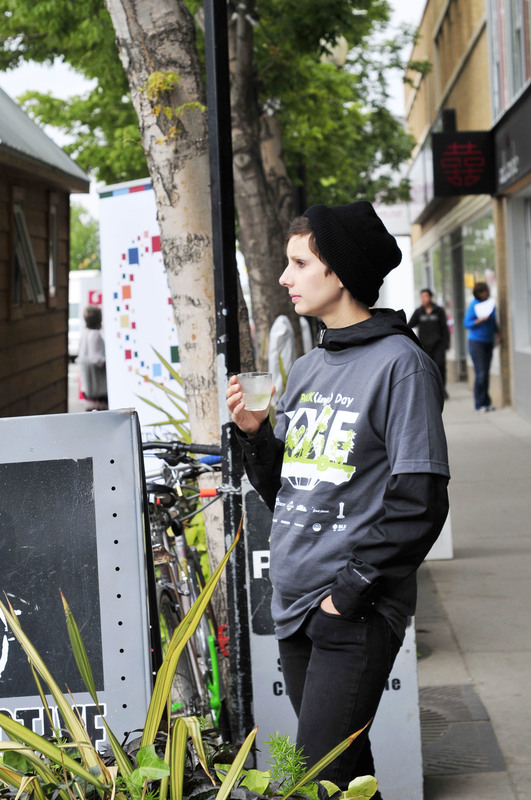 Shift Development was instrumental in launching back-to-back Saskatoon Park(ing) Day events right here on 20th Street in Riversdale, first in 2014, then again in 2015. The events were an enormous success, challenging what public land could or should be, and connecting people in the heart of the neighbourhood like never before. The day(s) included parking stalls transformed into small public parks (parklets), food trucks, a bike valet, open forums, speakers, and children’s activities. 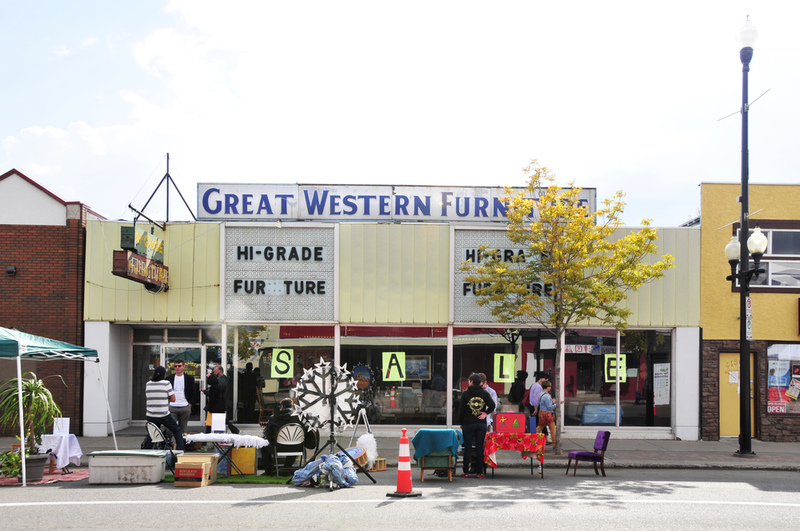 In a rapidly changing neighbourhood like Riversdale, Park(ing) Day is an especially effective experiment for a community to imagine the future. 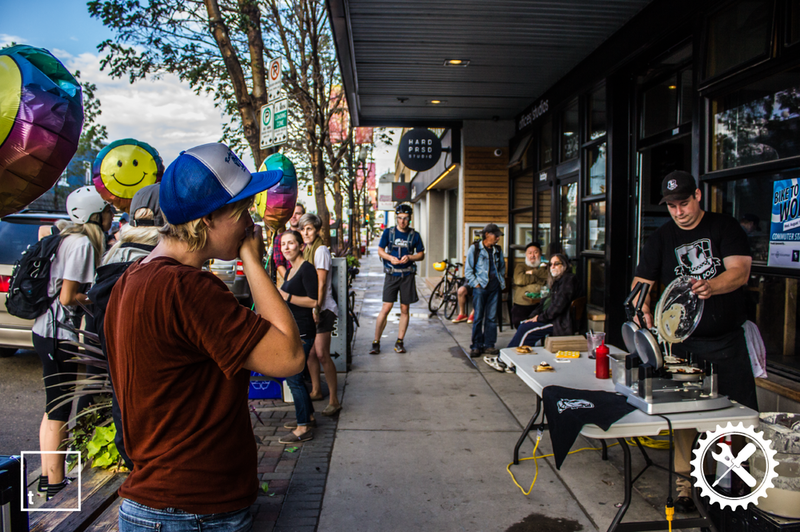 It's a way for Saskatonians from all over to experience walkable, bike-friendly streets, an active retail sector, diverse uses of buildings, and a healthy dose of human connection. 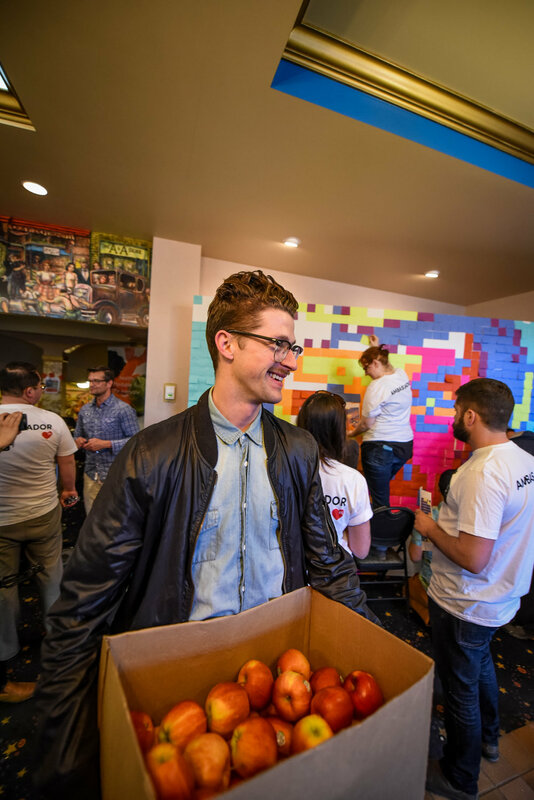 On April 30, 2015 Riversdale Love was launched at the Roxy Theatre, when 11 speakers came together and took 6 minutes, 40 seconds each to answer, "What is your vision for the future of Riversdale?" Representing diverse backgrounds and experiences, our speakers talked about life in Riversdale from unique perspectives: health, art, housing, urban planning, Indigenous identity, youth, business, design, and food security. "Riversdale Love is an innovative community-building project that attempts to bring the benefits of revitalization to all people in the neighbourhood, fostering intercultural connections and building healthy communities along the way." Shift Development responded to this call with a community venture called Riversdale Love, using arts and events to foster a cohesive community, create economic development, and inspire unique connections and collaborations. We care about Riversdale, and bringing together all the people who care about it too was important to us. 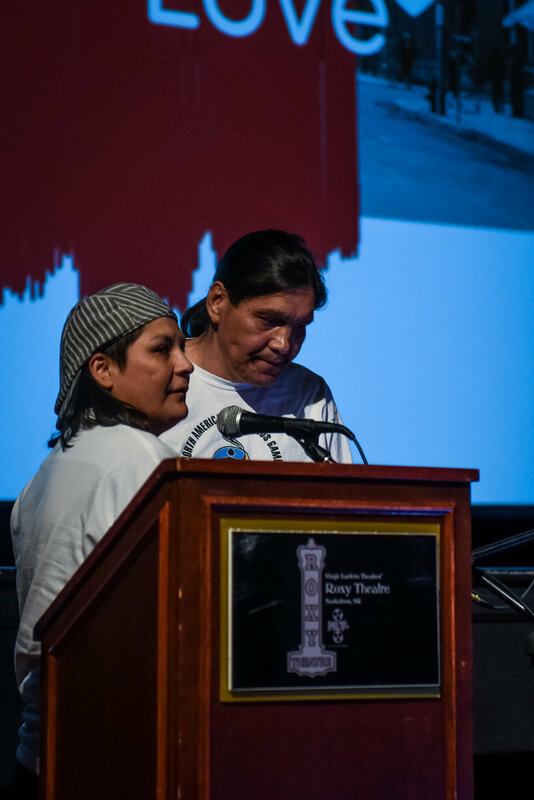 The project launched on April 30, 2015 at The Roxy Theatre, when 11 diverse speakers had 6 minutes, 40 seconds each to address the question “What is your vision for the future of Riversdale?” Our speakers addressed different aspects of life in Riversdale: health, art, housing, urban planning, Indigenous identity, youth, business, design, education, and food security. Typically, once art is created, we automatically assume that the art must be preserved, protected, and housed in an institution to prevent destruction. MOTA takes these assumptions and turns them completely upside down. In 2012, Jeff Nachtigall of Open Studio Projects installed the first of many pieces for the Museum of Temporary Art in a Riversdale back alley. Many of the installations have evolved, changed, weathered, and even disappeared since. And that's the point. It might not be The Louvre, but through MOTA, Nachtigall has reimagined Riversdale's alleys as corridors of an outdoor community art gallery, one that is fully accessible to anyone interested in pausing to take in the exhibit. There is no cost, no dress code, and no art history background required. There's no security, either. Some of the paintings have been marked, scratched, or tagged with spray paint. Is this vandalism or collaboration? The answer depends on who you ask. Nachtigall welcomes it, though, viewing it as a signal that the paintings have gotten people thinking and engaged, something he believes is fundamental to the role art should play in our lives.